What is the best way to structure the GRC capability? How can a complex organization with governance, risk management, and compliance functions spanning layers of the extended enterprise coordinate these activities? What is needed to overcome problems presented by silos separately structuring and managing GRC in inefficient and ineffective ways? In this webinar, we will demonstrate how a federated approach optimizes outcomes by balancing coordination of shared GRC resources and services with distributed business unit management of GRC and centralized oversight. 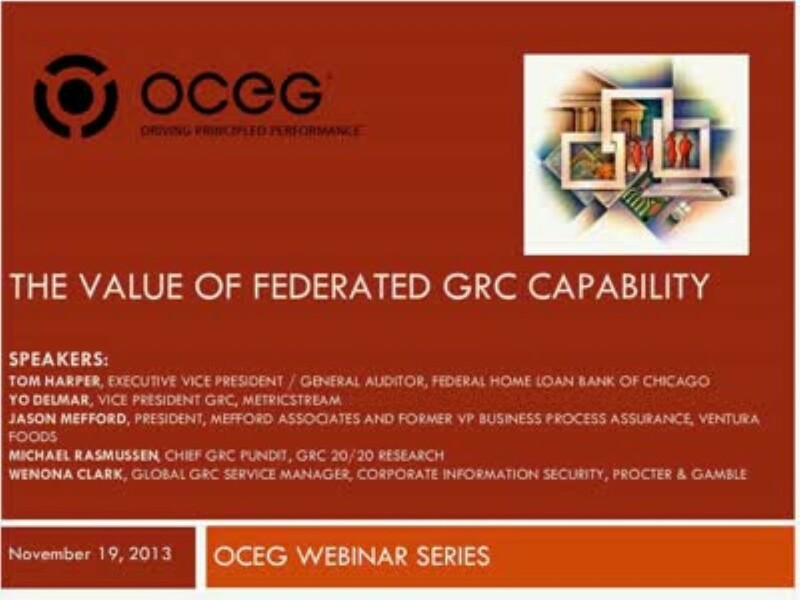 We have emailed instructions to access The Value of Federated GRC Capability to . Make sure the email arrives in your inbox: either add "support@oceg.org" as a safe sender to your email platform, or if you use Gmail, drag our email into your Primary tab.